More than any other mode of transportation, our Curbing Cars readers get around by walking. Back on New Year’s Day (a mere month and three days ago), we asked our Curbing Cars audience to tell us how you planned to get around in 2014. We got a terrific response and now we’re sharing the results with you. We’re ambulatory. Most of us still use cars, but not as much as we use other types of transportation in the mix of the ways we get places. The number one way Curbing Cars readers get around is on two feet. 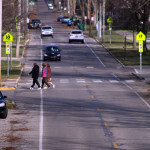 Almost 80 percent of respondents say they get around most frequently by walking. That was followed by public transportation, used by 69.7 percent; cars, used by 58.1 percent and other modes of transportation, which included running, Zipcars or car sharing programs, and taxis. Several people told us that they use of a mix of transportation in a single day. “I walk to work every day, bus in bad weather, bike for some errands in spring/summer/fall. use my car mainly for weekend shopping and for getting out of town,” replied one survey participant. It isn’t likely Anne will see cows on her commute, as David Lippert does in Houston. 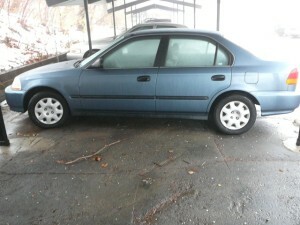 Curbing Cars readers are offering Advice for Anne on whether she should keep her 1998 Honda Civic or go car free. David Lippert and his family went car free in Houston, and here he weighs in with some suggestions. It sounds like you have some of the key ingredients to go car-free. Our regular activities are school, work, groceries. Even when we had a car, we made choices to minimize the loss should that happen. I took the bus to work downtown. My daughter has always used the school bus and groceries had to be walking distance or take a bus there and a cab back. My wife is a stay a home Mom. These life choices were less about ideology and more about fear of being stranded. Ask, and ye shall receive! 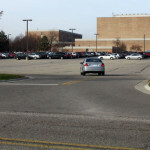 Our reader Anne in Ann Arbor, Michigan, asked Curbing Cars last week to help her decide whether she should keep her 1998 Honda Civic, or take the plunge and go car free. Great question! The fact that you’re asking whether to keep your car is a wonderful indication that you have freed your mind from the tyranny of the automobile. I have been living “car light” for the past 3 years, and driving my car less and less every year. People are cutting back on driving, and many are giving up their cars all together. We’ve told some of those stories here on Curbing Cars, like Andrew Hartford in Austin, Texas, and Lauren Steele, in Columbia, Mo. Now, one of our Curbing Cars readers wants some help in deciding whether she should keep her car, or cut the cord. 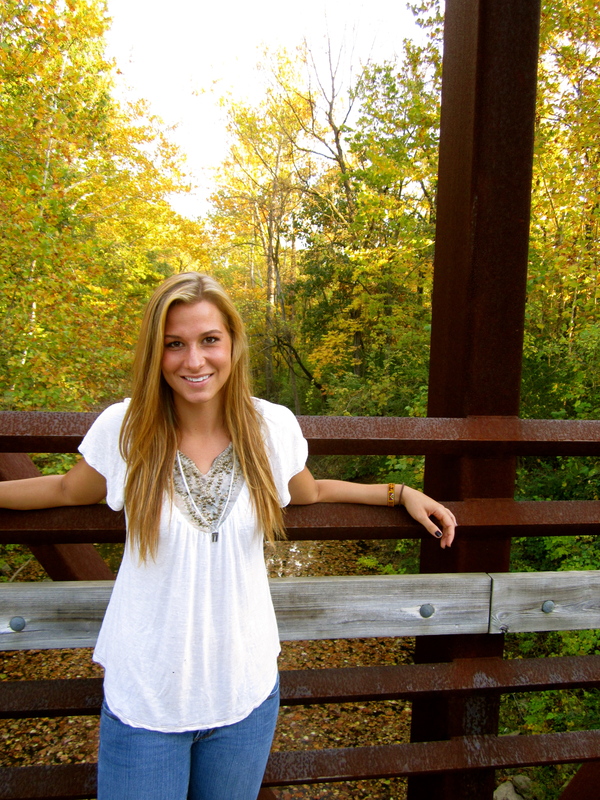 Her name is Anne (she asked us not to use her last name) and she lives in Ann Arbor, Michigan. 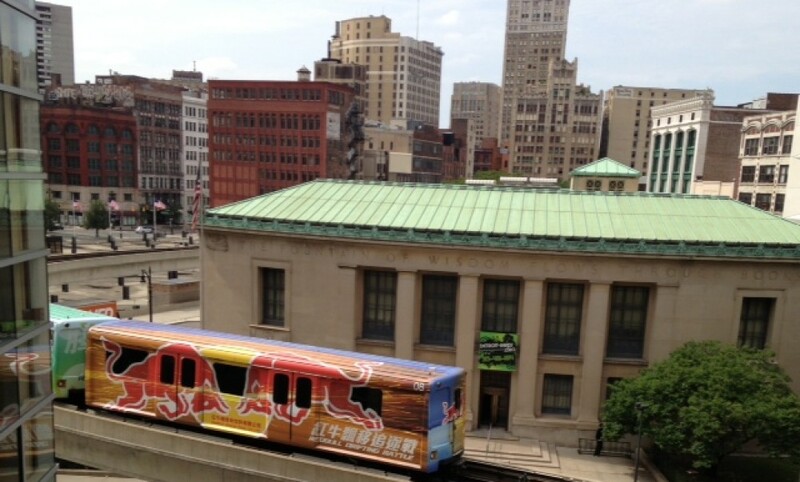 Ann Arbor has an extensive public transportation system, and it’s also a very walkable city. But it gets its share of snow and ice, and some parts of the city aren’t as accessible by transit and foot. 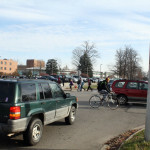 Traffic congestion at Preston and Washington Streets, which students say is the worst intersection on campus. Central Michigan University is redesigning its campus, as millennials rethink their use of cars. 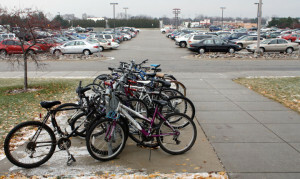 CMU will push parking off the central campus to outlying lots. 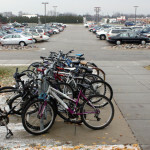 In our latest student-written story, Curbing Cars intern Matthew Varcak at Central Michigan University looks at plans to redesign the campus for every kind of transportation use. If you say Mount Pleasant to anyone in Michigan, the first thing they might name is Central Michigan University – a university that nearly doubles the city’s population from September through May. CMU is a public school, whose campus covers 871 acres, and has 17,771 undergraduate students. This year, CMU had the NFL’s No. 1 draft pick, Eric Fisher. Mount Pleasant also has a sprawling casino, resort and water park run by the Saginaw Chippewa Indian Tribe, an ample public transportation system, and a picturesque small town atmosphere. 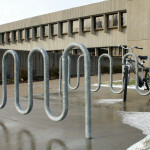 The city and the university, however, aren’t known for being bicycle or pedestrian friendly. But some people are trying to change this. They are redesigning the campus with an emphasis on how it will be used by people, bicycles and cars. 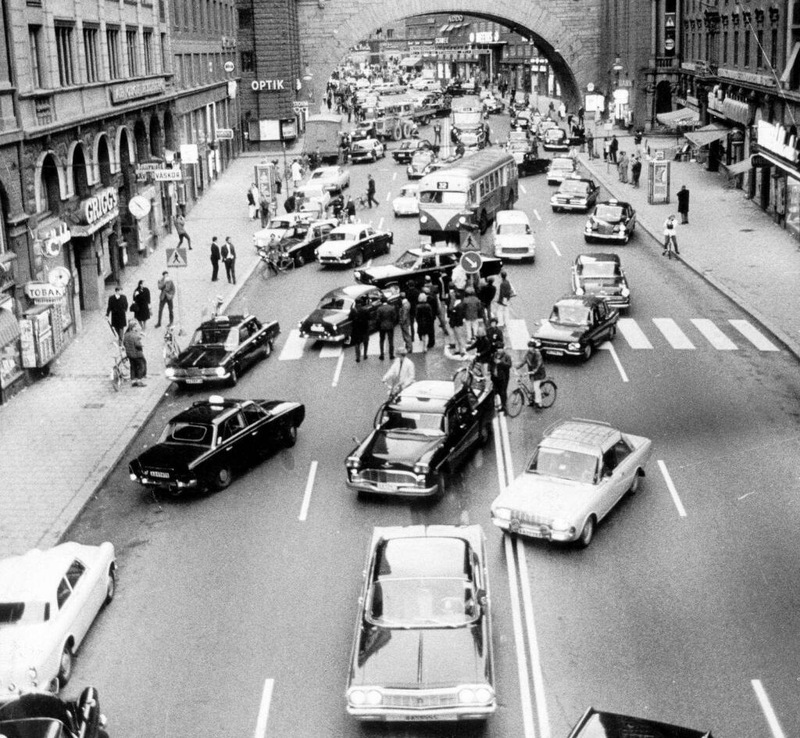 Do We Really Have To Get Rid Of All The Cars? For the past few days, I’ve been thinking about something I spotted on The Atlantic Monthly’s website. It’s called, “The Case Against Cars In 1 Utterly Entrancing GIF.” You can take a look at it here. Basically, the animation shows a street full of cars, flashing to their drivers seated on the road. 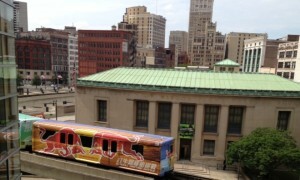 Then those people are grouped, and loaded onto a streetcar. The point of the GIF is to show how public transit reduces congestion. Since Curbing Cars launched this summer, I’ve been struck by the polarization in the discussion over transportation use. At one end are people who think cars are evil and to be avoided at all costs. At the other end are those who love automobiles and think the people who despise them are crazy. Comments Off on Do We Really Have To Get Rid Of All The Cars? 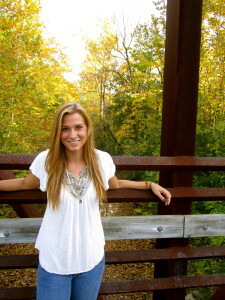 Lauren Steele on the bridge she crosses each day in Columbia, MO. In our first story by a student writer, Curbing Cars presents this tale of trading driving for walking. Walking out of the Ragtag Cinema in downtown Columbia, Missouri with a friend last August, our conversation quickly went from Silver Linings Playbook to an Ashton Kutcher film from a few years back. My smug chuckle was quickly gagged with a lump in my throat and the realization that my friend was not quoting the movie. My car was gone. We interrogated some car-towing witnesses and took a cab to a sketchy gas station, where I was reunited with my Pontiac. After writing a $160 check to retrieve it, I made a resolution—my car was getting curbed. I had a few transportation options, such as the free shuttles that ran from my apartment complex, riding a bike, or walking. 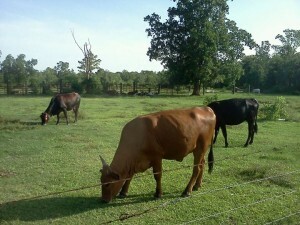 As a small-town farm girl and a dedicated runner, I considered each choice with a certain dogged stubbornness. The shuttle seemed like a lazy option and I didn’t want to wrap my schedule around its pick-up times. My bike was a rusted out piece of unreliability, and the hills of Columbia beat most cyclists, leaving them pushing their bikes and hoofing it. Fewer vehicles, more transit in New York City. Depending on your view of New York City, it’s a walker’s paradise, a traffic nightmare, or a place where it pays to ride the subway. Now, the city has come out with its annual Sustainable Streets Index report, and the results show The Big Apple is mirroring the rest of the country in the way it gets around. Since 2003, citywide transit ridership has grown 9.5 percent, while citywide traffic has declined 3.9 percent. Subway and bus ridership is growing, while driving remains essentially flat. 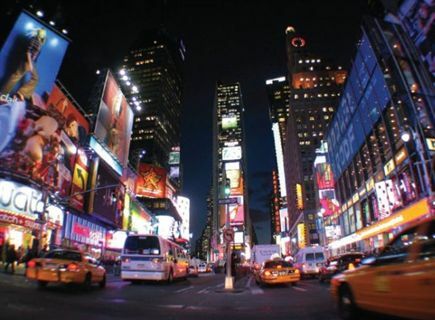 The changes are most noticeable in the Manhattan central business district, which is the area below 60th Street (the southern border of Central Park). Over the past 10 years, transit use here is up 11.3 percent, while car traffic has declined 6.5 percent.